Zain Iraq is the largest mobile operator in Iraq, and part of Zain Group which is a pioneer in Mobile telecommunications and Technology across the Middle East and North Africa, with a huge customer-base in 8 different countries. With a focused strategy on customer service and quality, Zain Iraq aims to equip its customers with the latest technology and services, and continuously strives to deliver enhanced customer experiences to spread the ‘Wonderful World of Zain’. Zain’s Retail and Customer Service centers are located in all the major cities of Iraq. Having the largest telecom customer network in the country, Zain Iraq faces highest inflow of visitors and customers at its outlets; the biggest branches have around 15 service counters, and witness 2000 footprints on a daily basis. In order to ensure seamless customer flow, Zain Iraq sought a reliable and robust Customer Flow Management Solution that would help it optimize customer journey at its service centers, reduce waiting times, and provide real time updated information to manage KPIs for customer service. Zain Iraq chose Wavetec to cater to its customer flow management needs, considering Wavetec’s turnkey customer experience solutions and its successful installations at Zain customer service centers in Saudi Arabia. Understanding the nature of problems faced by Zain Iraq, Wavetec’s customer experience consultants proposed a 360 degree Wavesphere solution that works on the philosophy to organize, engage and measure. The Wavesphere solution was based on combination of Wavetec’s customer experience solutions that are: Queue Management System, Mobile Queuing App, Digital Signage, Customer Feedback Solution, and Wavesphere Management Portal. The solution was devised to allow Zain to Organize its service areas, Engage its customers, and Measure staff performance, and was divided into two phases. 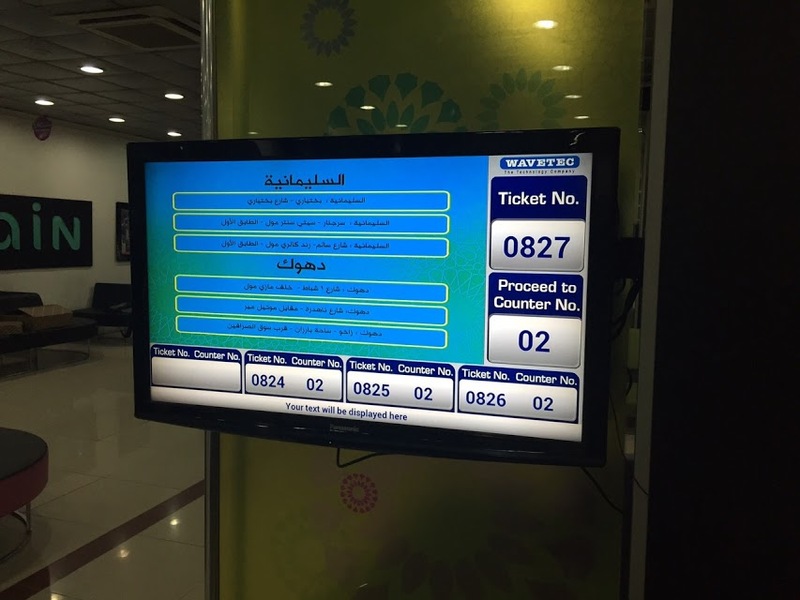 The first phase of the solution has been successfully completed that includes the installation of Wavetec’s state-of-the-art queuing solution, its dynamic digital signage, and Wavesphere Management Portal at 17 customer service centers. Wavetec’s queue management system at Zain consists of a Ticketing Kiosk, a Soft Teller Station Unit, and a Counter Display Unit. 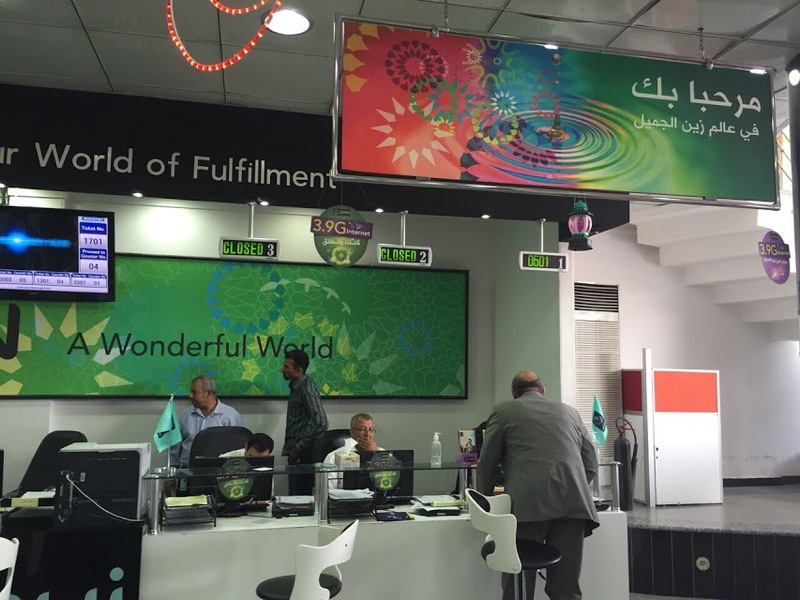 When customers enter Zain Iraq’s service centers, they take a queuing ticket from the Kiosk, and wait for their turn. The Customer Service Representatives manage the queues through the soft teller station unit, and engage customers with targeted messages and queuing status using digital signage, while Counter display units reduce the perceived waiting times, as customers know they are being served fairly according to their respective turns. Wavetec has drastically improved customer service at Zain Iraq’s service centers by streamlining the customer flow; queues move faster now, and waiting times have noticeably reduced. Wavetec’s Queuing System is integrated with its signature content management software – Donatello Suite, that streams optimized content on the displays and allows information to be displayed using a variety of canvas designs for digital signage. Furthermore, the Wavesphere Management Portal is integrated with the ticketing system, and provides real time reporting facility with a live dashboard, and reporting tools. Wavesphere is a significant tool for the management at Zain Iraq to get regular reports about KPIs and customer flow and decide the changes that need to be made at their outlets to reduce customer waiting and serving times and monitor staff performance comprehensively. Wavetec’s solution, which was successfully implemented by its distributor Al Shather, has effectively helped Zain refine customer experiences at its retail and customer service centers, and efficiently manage and track the level of customer service at different centers. Wavetec is at the forefront of customer experience solutions with an impressive product portfolio, and vast experience of transforming customer experiences globally.